Our print development summer evening course is designed for teachers, lecturers, technical support staff, technicians, or anyone who works in education. 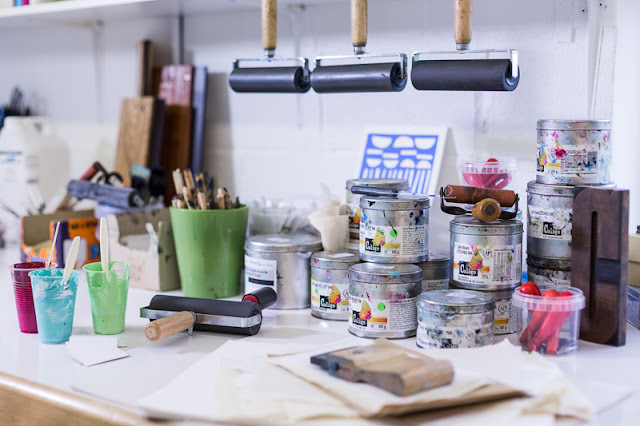 The course is tailored for people with little or no previous experience in printmaking. Each session is practical and hands-on using a range of resources and methods you can apply into your teaching practice or area of work. For 25 years Dena has built on her knowledge, skills and professional practice in printmaking. She also completed her masters at The Royal College of Arts which has allowed her to provide up-to-date support for professionals who work in education. She has provided print support to designers and taught printmaking at colleges and schools sharing her expertise. Introduce you to a range of printing methods to enhance your practice. Explore ways to apply a range of printmaking methods into your area of practise. Gain confidence in using printmaking methods for demonstration and experimentation. 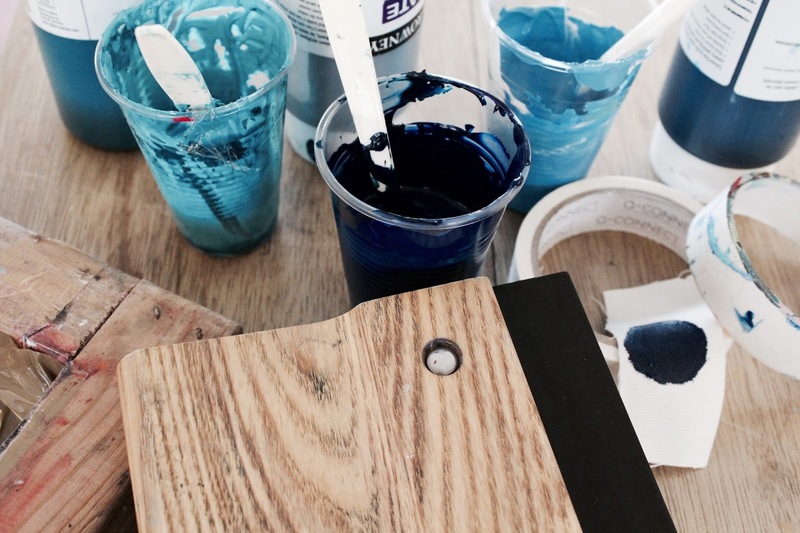 How to source the printmaking tools, materials and equipment covered on the course. Discussing ways to develop the methods you cover and problem solving. Produce a body of print outcomes as evidence of each method explored. Mono printing creating a series of mini prints and zines. Dry point exploring a range of inking techniques and printing onto a range of papers. Screen printing using a hand cut stencil, in two colours and printing onto a range of papers covering small repeat work. Emulsion screen printing using a hand drawn design and printing onto fabric in two colours. What to bring: A4 cutting matt, scalpel with sharp blades (for cutting stencils), A4/A5 sketch book, pencil case with pens, pencils, rubber, and a apron or old shirt. Times: The course takes place on a Tuesday evening starting at 6.30pm - 8.30pm. Payment: To secure your place full payment is required before the course commences. More details will be provided upon emailing us to make a booking inquiry.